We want you to get great values and have an easy shopping experience with us. Below are our basic policies to help you navigate your purchase. 1. While browsing our store, select the product you like, by clicking on the "Add to Cart" button. Adding the product to the Cart means that Simplybabyfurniture.com will remember the information about that particular item when you are ready to check out. You will be able to remove an item or add quantity from your cart later. 2. Not done shopping? Click to continue. Each time you add a product, you will be shown all the items in your cart. Once you have selected all your purchases, proceed to the "check-out" by clicking 'View Cart'. 3. At the Simplybabyfurniture.com checkout, you will view your entire order so that you can verify that all the information we have is correct. If you see anything that's been entered incorrectly, please change it now. You will be asked to complete the billing and shipping information. All information entered on this and following pages will be on a secure server for your safety and privacy. At this point, you can safely enter your credit card information through our secure server. 4. Submit your order by confirming the last page of check-out and Simplybabyfurniture.com will then email you an order confirmation number. 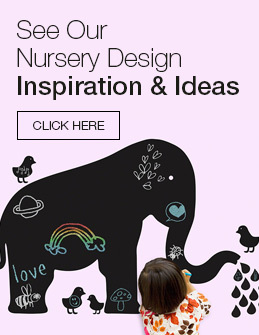 Our goal is to make your baby and nursery shopping a pleasant and simple experience. Whether you are an expectant or new Parent, Grandparent, or Relative, we will assist you in delighting the baby or new parent in your life. As of now, we do not accept any orders shipped to an International or APO address. As of now, we do not accept any orders shipped to Hawaii and Alaska as baby furniture is extremely heavy and oversized and the additional shipping costs are prohibitive. For your convenience we have included the cost of shipping into the overall price of the items so there are no hidden costs. For large items like furniture we ship by either Local Carrier (LTL), Federal Express or UPS. We are unable to request special delivery needs but we will send your tracking information once your items ship and at that time you can make arrangements with your local carrier. Sales tax is charged for items shipping to California. Payments can be made through Credit Card/Debit Card issued in the US only. Payment Options: We gladly accept American Express, Visa and MasterCard as payment for orders. Please enter your credit card number on the secure online order form. We also gladly accept payment via Paypal. In the unlikely event that your item arrives damaged or is missing parts please email us the details at service@simplybabyfurniture.com. Contact our customer service department within 7 business days of the delivery date to report any damage. Unfortunately, packages can be damaged during the shipping process after leaving the warehouse. If your order arrives at your door damaged, broken or defective, we will either replace the broken parts if possible or ship out a new one at our discretion and completely at our expense. Please be sure to inspect your item(s) for concealed damage even if you do not plan on using it immediately and always keep all packaging until you are satisfied with your item. PLEASE do not refuse any shipments as this limits our options in getting you a perfect item. We want you to be 100% satisfied with your Simply Baby Furniture order. If you're unhappy with the item you purchased for any reason, return it to our warehouse within 30 days of the shipment receipt for an exchange or a refund of the full purchase price. (Note: If your item was damaged or defective, see our Damage section above). We are proud to offer the best return policy online. Please note: certain items are not returnable and will be clearly stated on the listing. Returned merchandise must be sent to us prepaid and insured at the address listed below. We cannot accept freight collect items. Do I have to return the free/reduced price promotional item if I return my qualifying purchase? You're not required to return the promotional merchandise with the qualifying purchase item(s). However, the amount of the refund will be reduced by the prorated value of the promotional item. The promotional item can be returned alone, but you'll only receive the prorated value of the free gift. Your receipt shows return values of each item if returned individually and states, "All items must be returned for full refund." Some special promotional items may be non-returnable. Items with this return policy will have the return policy posted by the items and will state are non-returnable. How do I return the qualifying purchase or promotional item? Find out how to return an item on our returns section. The total advertised price is allocated between the qualifying purchase item and the promotional item for return purposes. If you return the qualifying purchase item without the promotional item, your refund will be reduced by the value of the promotional item. How is my refund calculated if I return my item purchased with a promotion? You're not required to return the promotional item with the qualifying purchase item(s). However, the amount of the refund will be reduced by the prorated value of the promotional item. The promotional item can be returned alone, but you'll only receive the prorated value of that item. Your receipt shows return values of each item if returned individually and states, "All items must be returned for full refund." We unfortunately cannot accept the return of any mattress with the protective plastic cover opened or removed. Please remember, all returned merchandise must be new (never been used) and in its original carton with all the packing materials, manuals and registration cards intact. We will not accept dirty, broken or used products or any items in non-standard packaging. You will need to enclose your order/invoice number and/or a copy of your e-mail confirmation with your return along with a memo explaining the reason for return. In addition, you must send your item insured and send the tracking number to service@simplybabyfurniture.com once it ships. We will issue a full refund for the purchase price of any products you return that meet the above conditions within 3 days of receipt in our warehouse. Please insure your return shipment as we are not responsible for shipping damages. If your returned item arrives damaged, we will notify you immediately upon receipt so you can file a claim with the carrier. For your protection, please use Federal Express Ground, UPS Ground or insured parcel post for return shipments. Cancellations on orders that have already been processed will be accepted and handled in the same manner as returns. We do our very best to give you accurate shipping time frames in our product descriptions. The timing displayed is based on estimates from our suppliers. In the event of a shipping delay, Simplybabyfurniture.com will notify you promptly. Occasionally products are delayed and items may take longer than the stated shipping times. Simplybabyfurniture.com cannot be held responsible for shipping delays beyond estimated delivery times. All Custom made-to-order items require payment in full upon order, since Simplybabyfurniture.com Designer's craft these items to your specifications. Please click here to view our entire policy.